Are you unhappy with the way your front yard or garden looks? Do you find your overall landscape looks a bit outdated, common, dull or downright unattractive? Put your worries aside. Our flower service specialists worked together with their Surrey lawn service lawn care colleagues and came up with a list of 5 plants to revamp any type of Vancouver property in the blink of an eye. We are talking about easy, fast and effortless activities which will turn your property into a veritable work of art. All you have to do is plant some new flowers, shrubs and vines around and let them do their magic! If you don’t know how, when or where to plant them for a full spectacular effect, consult with your local Surrey lawn care specialists! If you want to bring more Mexico to your Vancouver residence, then Yucca is one of the first plants you need to consider. The sword-shaped leaves of this perennial shrub add a hint of the desert to your otherwise lush green turf, making it look exotic, wild and new. Ask your local Vancouver lawn service contractor to help you grow Yucca on your property for an outstanding landscape design. You will see Bougainvillea almost anywhere there is a warm climate. One of the easiest ways to completely make-over the looks of your dull landscape is planting this ornamental vine. It comes in awesome pink, red and purple colored varieties; it is resilient to hot weather, easy to care for and excellent to just admire all summer long. This plant is native to Mexico, but you will see many exquisite properties featuring this beautifully colored flower. It is not resilient to frost but makes a great add-on to your front yard, the flower garden or the flower beds that ornament your patios. Dahlias also come in many colors, so it’s better to consult with your Richmond lawn care specialists on the best varieties you can host on your property. If you truly want to revamp your property with little effort but great results, bring home some Yellow Bells. Their color will make everybody feel you just took a piece of the Sun and planted it in your garden or front yard. This small ornamental shrub can become the highlight of flower beds or turn your walkways into true “yellow brick roads” leading to magical lands. 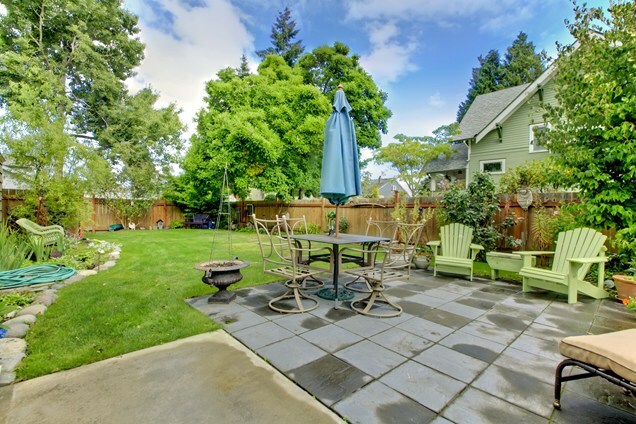 A completely revamped landscape should buzz with life, color, texture, depth, and contrasts. From this point of view, the Mexican Bush Sage is the best plant you can host on your property. It attracts butterflies and bees while its silver-gray foliage may be the exact touch of originality and spark your dull landscape needed. Count in the violet blooms as well and you will have that outstanding lawn and landscape in no time.